The first Muslim woman to be a member of parliament in Australia is fighting back against social media trolls who bombard her with sexist and racist abuse. Dr Mehreen Faruqi is an Australian Greens Party MP in the New South Wales Upper House, and a former environmental engineer, who fled an "oppressive regime in Pakistan" in 1992 with her husband and infant son. But she has found herself facing a grotesque cascade of abuse unleashed by internet trolls. "There is this real vile mix of racism and sexism that is happening within Australia from certain people who don't believe I belong to this country, maybe because of my colour or the religion that I belong to. That is pretty upsetting," Dr Faruqi told the BBC in Sydney. An MP in Australia's most populous state since June 2013, she is now fighting back against her tormentors. "I decided to start a project on Facebook and it is called Love Letters to Mehreen. So every few weeks we pick a particularly hate-filled message and I respond to it in a humorous way, and that has really taken off. I think people do appreciate that we are exposing these issues and, of course, it is quite cathartic for myself and my staff as well," she explained. 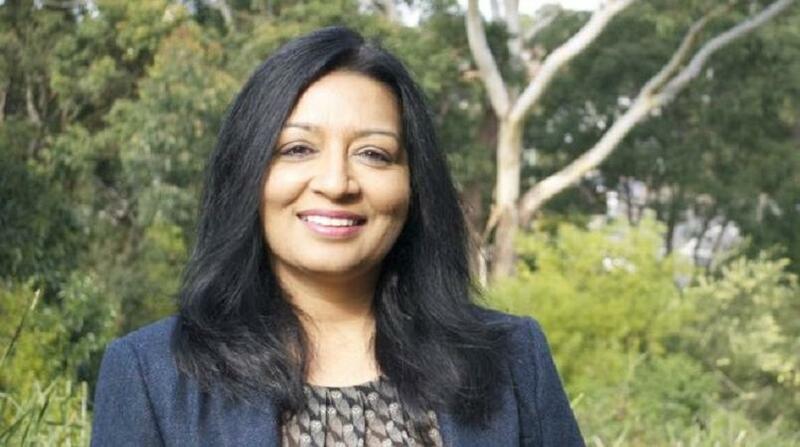 Dr Faruqi has been ruthlessly targeted by anonymous assailants online - some have questioned, in the most abusive terms, how a Muslim has "been let into Australian politics". Love Letters to Mehreen curates some of the "racist and sexist filth" her office receives, which she responds to "with just a touch of sass". But she believes these anti-Muslim views are nothing new. For Eva Cox, one of Australia's leading feminist writers, the fight against bigotry and inequality in her adopted homeland has raged for almost seven decades. Soon after arriving in Sydney as a 10-year-old refugee in the late 1940s, she punched another child who had called her a "nasty Jew". Born in Vienna three weeks before Hitler's invasion, she grew up in England, while her father joined the British army and later went on to work for the United Nations, resettling refugees. Ms Cox is regularly savaged on Twitter, and believes that online abuse in Australia and beyond is becoming increasingly toxic and menacing. There is, she says, an "infection in the system" and she sees historical parallels with the disaffection that coursed through Germany in the 1920s and 30s. "People have lost faith in the democratic process and they are getting angry. We live in a society which seems to be breeding a large number of aggro, discontented people who are prepared to be incredibly nasty. "What is happening online is a venting of that particular set of prejudices and I think we need to deal with them," she explained to the BBC News website. "It comes from a sense of being overlooked, neglected and unloved. "We have got to take that to heart because otherwise we'll drive all that discontentment into something and that was where the Nazi Party came from. It came from people who were deeply discontented with what had happened at the end of the First World War where they had really been pushed too hard, and somebody came up and said, 'We'll make Germany great' and look what happened." The issue of race in modern Australia, where more than a quarter of the population was born overseas, is complex and contentious. Many Indigenous leaders refer to the arrival of European settlers in 1788 as a racist invasion. There were anti-Chinese riots in 19th Century goldfields. And the White Australia policy restricted non-white immigration in the first half of the 20th Century. Disturbances in the Sydney seaside suburb of Cronulla in 2005 saw clashes between mobs of mostly young white men and Middle Eastern Australians. More recently, videos uploaded to social media have shown ghastly examples of open bigotry on public transport. "Australia is a country with a racist history trying not to have a racist future," said Andrew Jakubowicz, a professor of sociology at the University of Technology Sydney. "There are organised racist groups in Australia who take great delight in going out and harming people as much as they can on the basis of their race." Prof Jakubowicz believes that Australia's colonial past still has a powerful hold on a nation where the "ruling elite tends to be older, white European or British-origin males". He adds: "The elites still have difficulty recruiting people into those sorts of powerful positions who don't share their world views and their orientation. Now, I call that ethnocratic rather than racist." It's hard to gauge if Australia is tainted by bigotry more than other countries, but All Together Now, a non-profit organisation, reports that a fifth of students at school suffer racism every day, while one in three people experiences similar abuse at work. "Australia has always had systemic racism," says Dr Faruqi. "Let's not forget our First People still suffer the worst sorts of discrimination and racism in Australia. What we need to do is never get complacent about it."